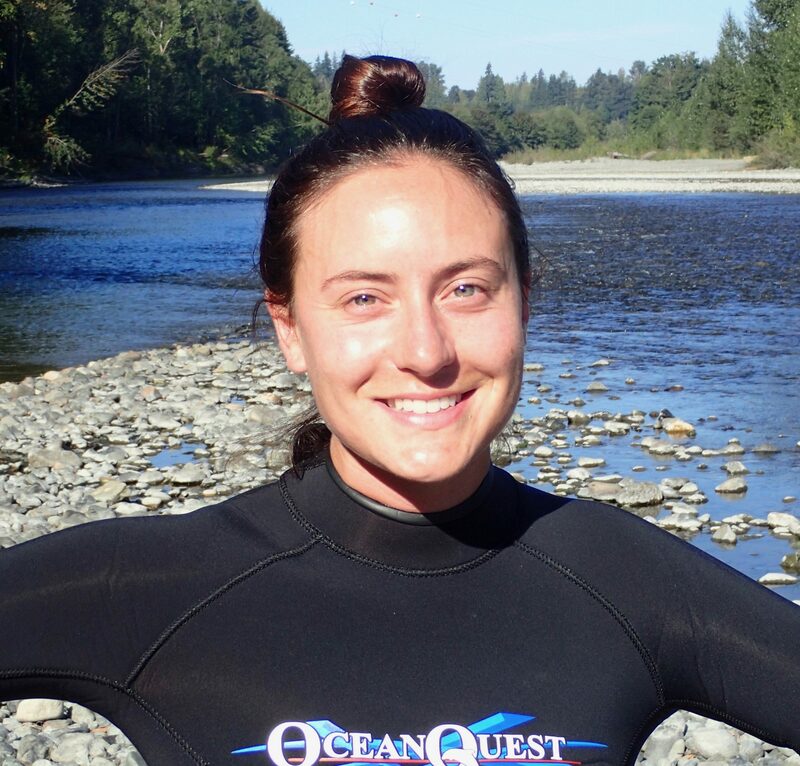 Ashley Bagley is a master’s student at the School of Marine and Environmental Affairs at the University of Washington (UW) in Seattle. She is also working towards UW’s Graduate Certificate in Climate Science to enhance her science communication skills around climate change. Ashley grew up in Sonoma County, California and graduated with a B.A. in Environmental Studies from UC Santa Barbara. In her free time, she likes to river snorkel and hike the North Cascades. Ashley’s research focuses on understanding how habitat type and water quality vary among different side channel and main stem habitats, and how salmonid abundance vary by habitat type. Through her research, she seeks to foster tribal relationships and support the Stillaguamish Tribe’s existing efforts to increase groundwater-surface water interactions for salmonid usage. Ultimately, she is interested in understanding how process-based restoration can lead to long-term habitat creation for salmonids in the Pacific Northwest.